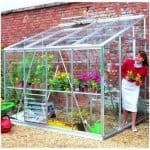 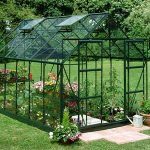 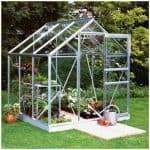 This is an excellent all round greenhouse which is constructed from green aluminium and has toughened glass. 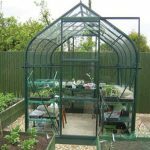 Garden enthusiasts everywhere will be delighted with the room and the finish. 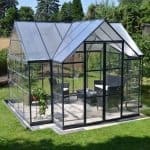 It is possible to buy an additional auto vent to help with temperature control and it is long lasting with almost no maintenance. 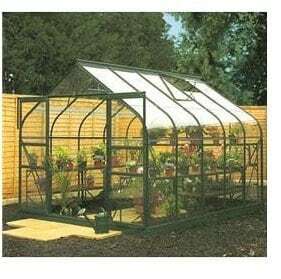 This particular greenhouse comes with a 15 year guarantee.